Earlier today, a huge Galaxy S10e leak revealed a bit more about the entry-level Galaxy S10 model. 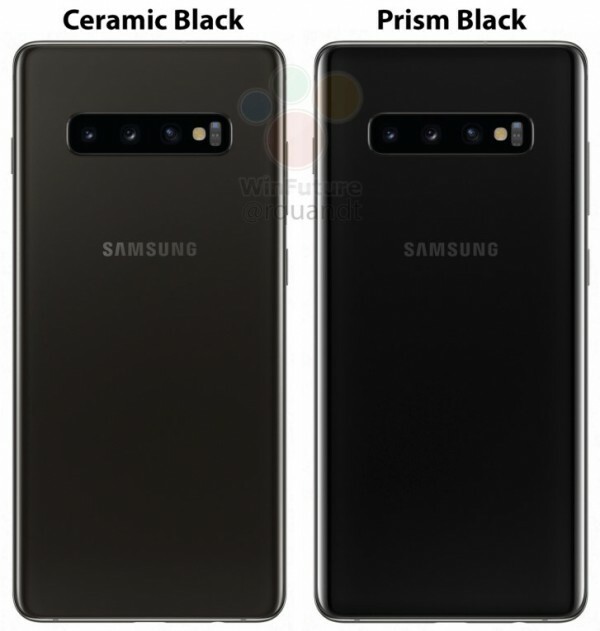 Fast-forward some hours later, there are three major leaks that all broke out around the same time and they are all related to the Galaxy S10+. 1.) The phone appeared in several new live photos. 2.) A bunch of new renders of the phone have leaked. 3.) The Galaxy S10+ would be able to wirelessly charge a new product: Samsung’s Galaxy Buds. Let’s take a look at the live images first. On Twitter, SaudiAndroid posted four hands-on images of the Galaxy S10 and S10+ that confirm many previous rumors. For starters, the in-display fingerprint scanner is a sure feature for both the S10 and S10+ (S10e has one embedded in the power key. Also, both of these devices have triple camera setups. Finally, WinFuture posted a render of a new pair of totally wireless earbuds sitting on the rear of a Galaxy S10+, confirming that the largest tier of the phone will have a reverse wireless charging feature like that of the Huawei Mate 20 Pro. The wireless earbuds themselves look like much refined over Samsung’s Gear Icon X and could succeed them with the name: Samsung Galaxy Buds. The buds’ case could also feature wireless charging compatibility as seen in the render below. The case’s green LEDs are illuminated indicating that the case and buds are indeed charging. The Samsun Galaxy Buds are rumored to cost around €149 and are positioned to compete directly against Apple’s wireless AirPods. Samsung is going to have a very long event if it plans to announce three Galaxy S10 variants, the Galaxy Buds, a Galaxy Sport smartwatchÂ¸ and a foldable Galaxy F smartphone. This is going to be the biggest Samsung Unpacked event in a while and it will all go down on February 20 in San Francisco.